I’ve been meat-free for long enough to remember the days when most eateries just had the one vegetarian option, and nine times out of ten it was mushroom risotto. It’s great to live in these exciting times of all vegan cafes, Veganuary deals in chain restaurants, and even vegan fine dining options. The latter is certainly not my area of expertise, but I’m always keen to try some fancy food. The most notable fine dining chef in the northwest is Matthew Nutter, and Dr HH and I went to two of hispop-up nights back when we lived in Manchester. Unsurprisingly, he finally got his own permanent home not long after we moved abroad and we’d been waiting for an opportunity to visit. That opportunity finally arrived in January! I had really high expectations for The Allotment, so much so that I was worried there was no way it could live up to them. But there’s nothing to worry about here: it’s creative, delicious food in a lovely setting, and, surprisingly for a fine dining establishment, you actually feel full at the end. We were there on the first day they reopened in January after the Christmas break, so we got to try the new, seasonal menu. We hadn’t been expecting an amuse bouche, but we were delighted to receive one. 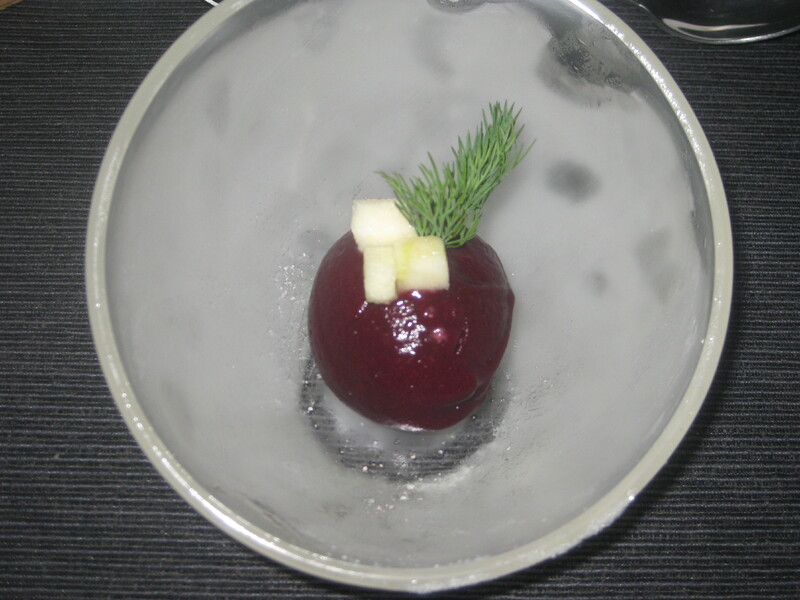 Look at the inviting colour of this purple carrot sorbet with apple! It was quite surprising in that it looked like a dessert and had the sweetness of the apple, but had strong savoury flavours. The contrasting textures were good too. This was an extremely promising start to the evening. There were three options for each course, so Dr HH and I ordered different things to keep it interesting. Also, it was easy to choose different things when all three options sounded incredible! 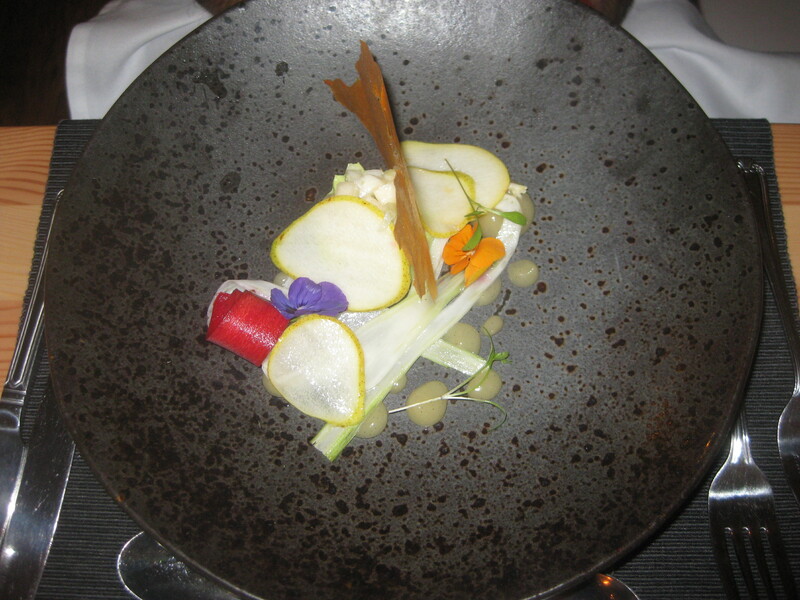 Dr HH started with the winter garden: a parsnip crisp, flavoursome avocado tartar, thin slices of pair and fennel, some pickled carrots, and fennel gel. Unfortunately he found it a bit underwhelming, as none of the other flavours quite matched up to the avocado. Nice, but not mind-blowing, was his verdict. 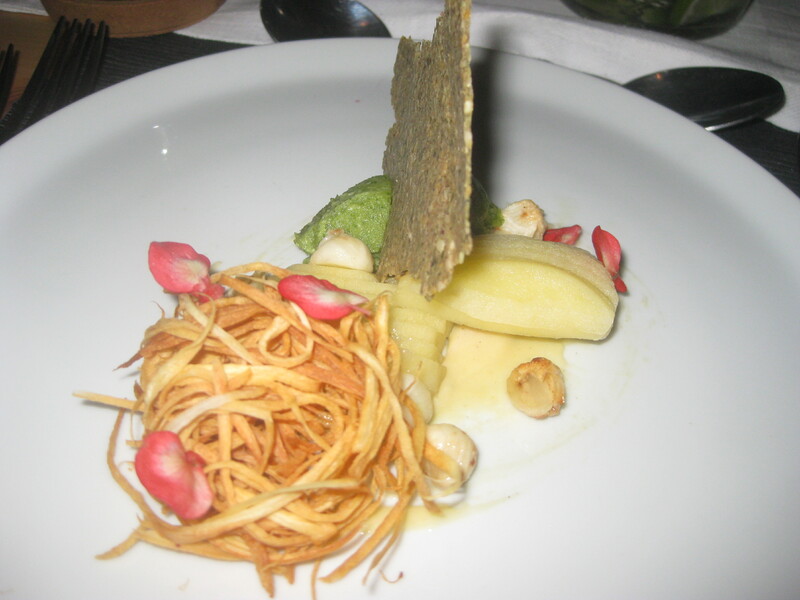 I was much happier with my starter, apple & sage: a crispy parsnip nest, quite soft (raw?) 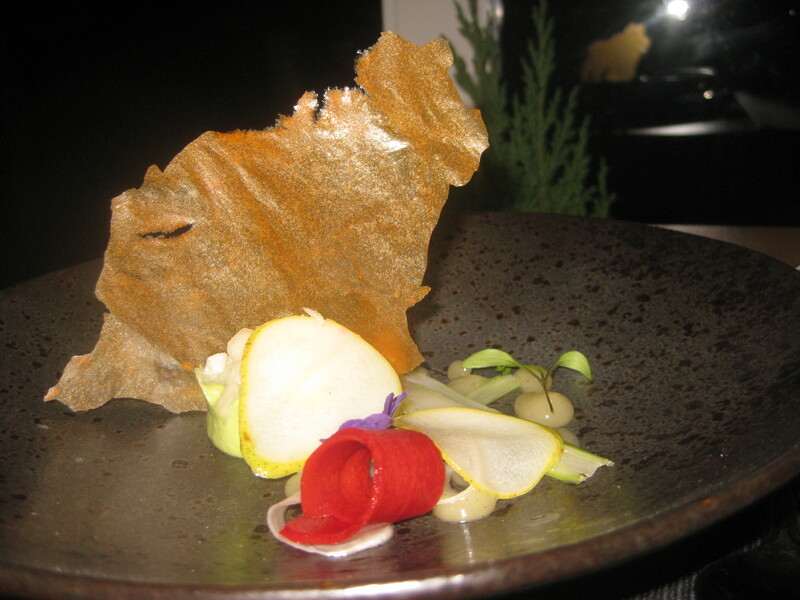 cracker, apple slices on lemon butter, and green apple puree. 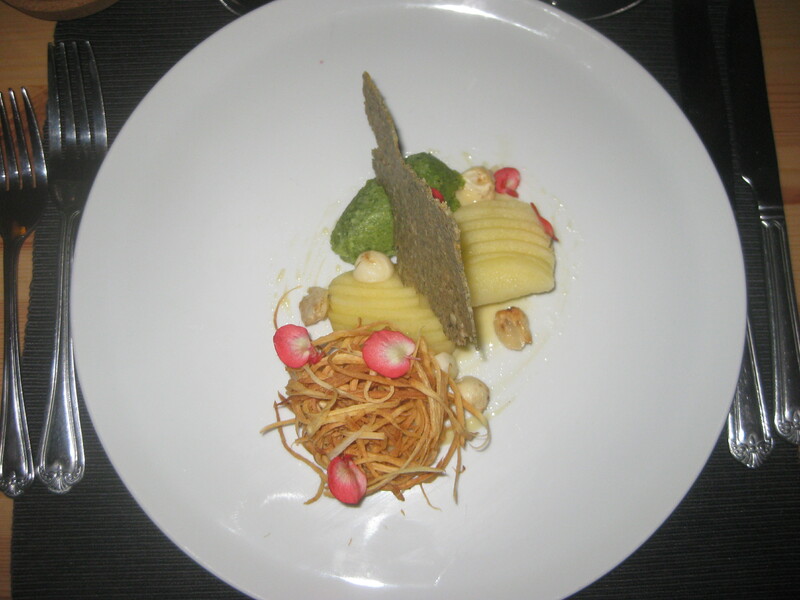 There were some really great flavour and texture combinations going on. 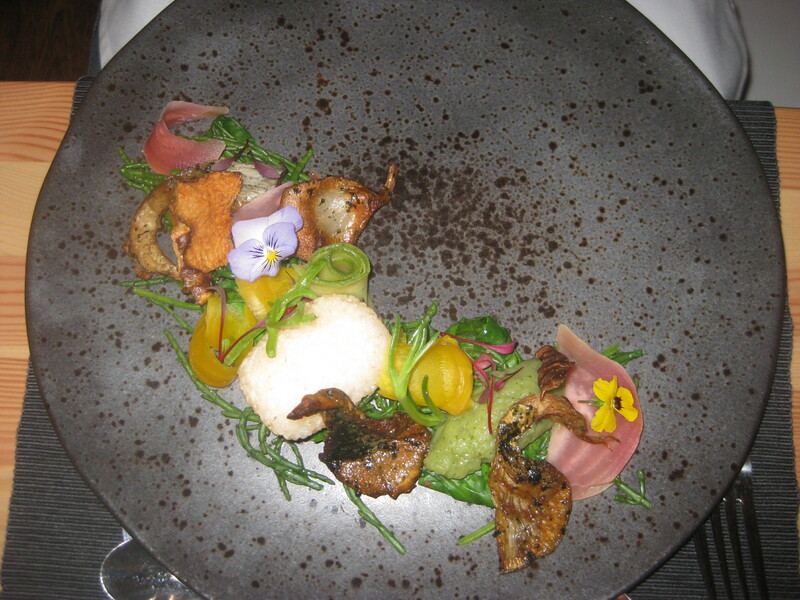 Onto the mains, and Dr HH was far more taken with this taste of the sea: artichoke crackling, sushi rice, lots of little bits of pickled veg, spectacular mushrooms, and good sea-flavoured greens. It was, as advertised, the sea on a plate – lots of salty and vinegary flavours, and everything seasoned to perfection. 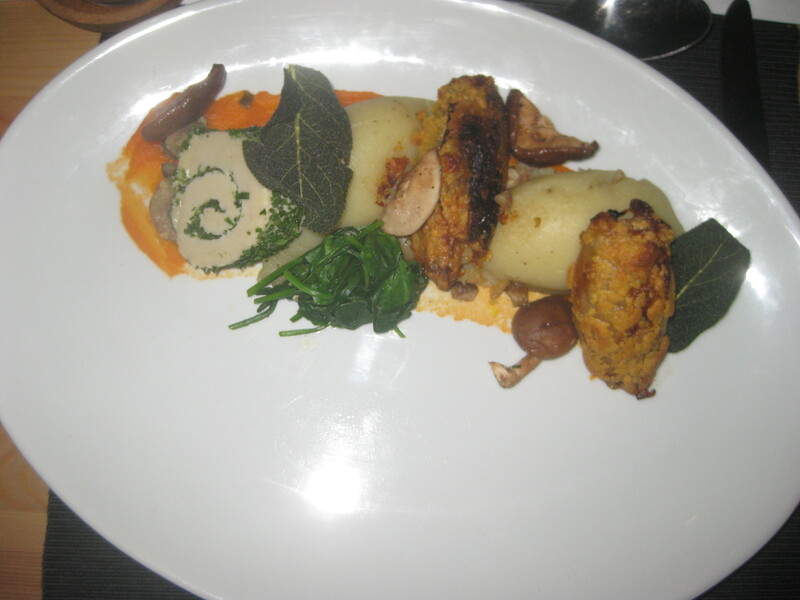 I couldn’t resist ordering the cheese & onion: white sweet potato mash (probably too much, with two scoops), pickled shiitakes, chive and garlic roule (really good and herby, lovely creaminess), confit shallots, and some garlicky greens. It was absolutely sensational. 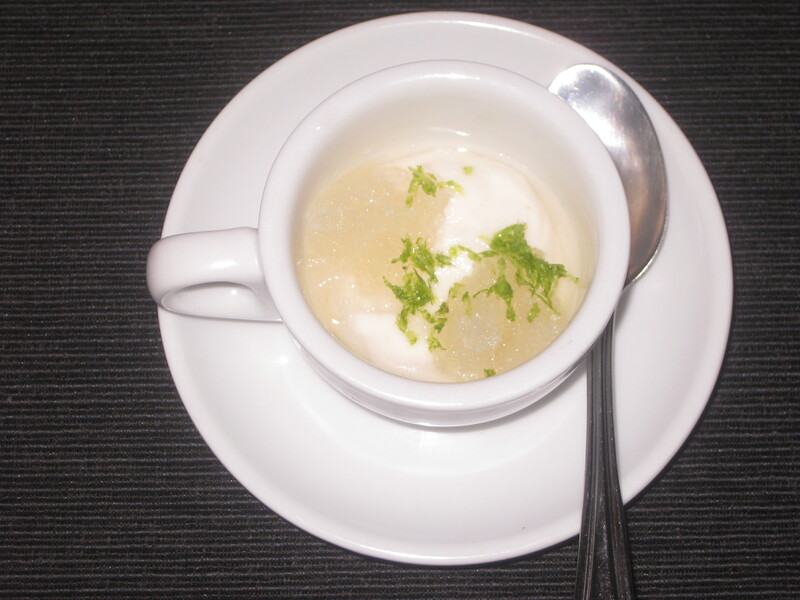 As it’s such a fancy place, we even got a pre-dessert: coconut and rose cream with lime granita. It was good and refreshing, perfect for cleansing the palate. And finally, dessert! Dr HH got the lemon cheesecake, which was actually more pear-based than lemon (fellow pear-haters, beware!). He enjoyed it very much. 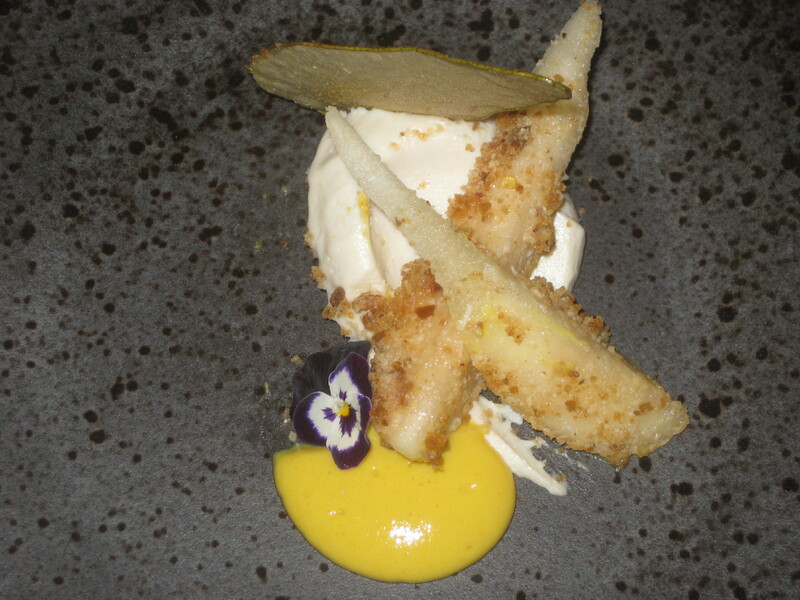 It consisted of a thick yuzu cream sat on a nice chilli crumb, good slices of crumbed pear and a nice pear crisp, which made a beautiful snap. And I had this panna cotta and tea-steeped yoghurt. 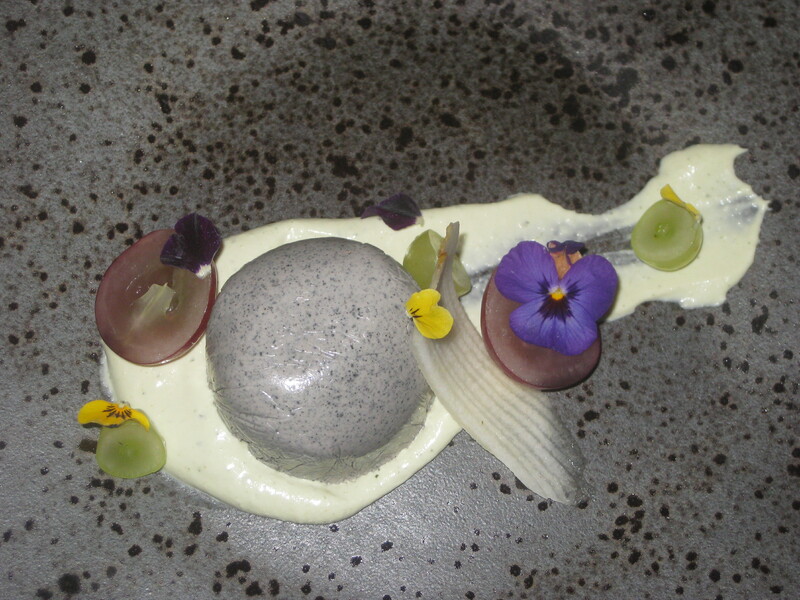 The black sesame panna cotta was quite firm rather than having the classic wobble, but had a really beautiful flavour. The highlight was the matcha and mint yoghurt, which was really delicious and a great match for the panna cotta. This was such an incredible meal – we couldn’t rave about it enough. And I felt absolutely stuffed when we left, though Dr HH insisted he would have had room for their cheeseboard as well. I can’t think of anywhere quite liked The Allotment in either Manchester or Prague – it’s a lot more ambitious than somewhere like Bistro 1847 in the city centre. What’s more, it’s great to have fancy food while supporting an all-vegan business. And as an extra bonus, service was really great and the people who work there couldn’t have been friendlier. The decor and atmosphere were perfect, though I must report that it was absolutely freezing when we were there in the cruel January cold. Of course, it’s more expensive than most other restaurants in Manchester, but there are early bird and Sunday specials which make it more affordable, and if you have a special occasion it’s definitely worth a splurge. It’s also important to note that this place isn’t in the city centre, it’s in Stockport. This shouldn’t deter you from visiting though. There are few places I would say this about, but it’s definitely worth the 50 minute bus ride we took from Stretford. 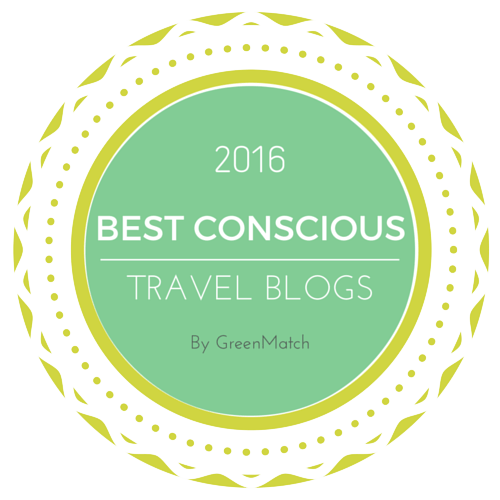 This entry was posted in Travel and tagged The Allotment Manchester, vegan fine dining, vegan Manchester, vegan travel. Bookmark the permalink. Oh wow – it’s lovely to see vegan food going all fancy. The taste of the sea looks lovely in particular. Wow, this looks so good. We are definitely planning a trip there soon! You won’t regret it! I was thinking of flying home for my birthday just so I could have my celebratory feast here! The panna cotta and tea-steeped yoghurt looks so dreamy! I LOVE black sesame and matcha and mint. I wonder what they all taste together like that. It was such a great combination, and looked so pretty too!